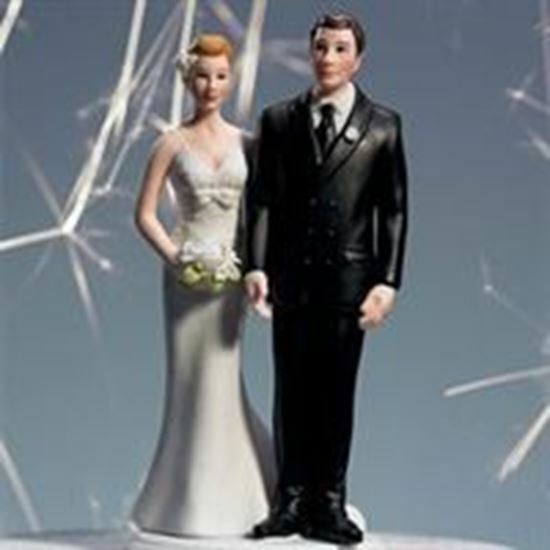 Comical Bride & Groom Wedding Cake Topper. Brides hand on grooms tush. Life is all about the little moments. Particularly those that no one knows about but you. This elegant couple takes romance - and fireworks - to a new level. Poised and elegant from the front, the back reveals a hidden little pinch on his bottom.